Why did President Obama wait until his sixth year in office to hold the summit? Was he just trying to play catch up with the Chinese? Why did Obama decide against having one-on-one meetings with each of the 50 African summit participants? This could be considered demeaning to the Africans who needed presidential photo-ops for the citizens back home. Why was there no summit document to be announced at the end? Did that mean there would be nothing substantive to announce? Looking back at the summit a month later, I am persuaded that the net result was actually substantive and quite positive. As far as the format is concerned, the Africans found the informality of American hospitality to be refreshing. The first evening, for example, African heads of state were taken out to neighborhood restaurants in groups of four with company CEOs from all over the country, chaperoned by Cabinet Secretaries, NSC senior officials, and State Department office directors. One of the objectives was to introduce heads of state to the top echelons of the American private sector. The Bloomberg Foundation and the American Chamber of Commerce did a great job of bringing in a large number of top CEOs to mingle with the African leaders over a two-day period. Obama did not do one-on-one sessions with each of the African leaders, but he spent a whopping eight hours alone with the entire group on the third day, in three separate sessions. Obama was mainly in listening mode, a refreshing change from the other summits. Outside of the extractive industries, especially oil and copper, American investors are not well represented in Africa. 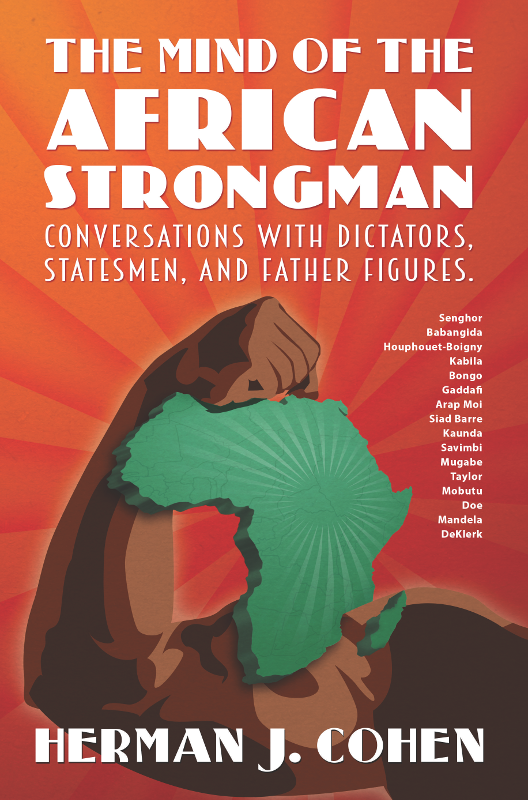 The discussions allowed the Africans to encourage them to look seriously at opportunities in Africa, and to inspire confidence through personal contact. At the same time, the CEOs told the Africans of their apprehensions about the risks of investing in Africa. This type of interchange is unprecedented and very healthy. I believe that President Obama has utilized the occasion of the summit to make a major change in US policy toward Africa that is long overdue. President Obama's message is that traditional foreign aid has been salutary, but has reached its limits. Foreign aid, combined with macroeconomic reforms, resulted in two to four percent annual growth since 1980. That is fine as far as it goes. But economic takeoff along the lines of the Asian Tigers requires major private sector investment, by both domestic and foreign players. There are major impediments to greater private investment in most African countries. President Obama went over all of them, and made focused proposals to address them. Very little can be accomplished without adequate electric power. The Obama Administration has come up with a very creative approach to the electricity deficit. Encourage private investors to invest in electricity generation, leveraging the many sources of USG financial and logistical support in agencies such as OPIC, EXIMBANK, and TDA. The program, called, 'Power Africa' is already off to a good start. Relatively high earnings from commodity exports are being used mainly for importing food. This does not make sense because the potential for agriculture in Africa is quite high. However, African farmers, who are in the majority in most African countries, have very low productivity. They need classic extension services that do not currently exist. They lack technology, machinery, storage, farm-to-market roads, and land tenure. To address this impediment to development, the Obama Administration has established the 'Feed the Future' program within USAID. It is more a knowledge driven program rather than money driven. Many potential investments, from both domestic and foreign sources, are not happening because of the absence of the rule of law, the problematic enforcement of contracts, and an overall poor bureaucratic environment related to licensing, permits, and quixotic decision making. President Obama offered to make the US democracy organizations (i.e. NED and IRI) available to mentor in this area in addition to their classic work in democracy promotion. What impressed me so much about the message from the summit was that President Obama is the first US President to tell the truth to African power. Previous US presidents were popular with the Africans because they were creative and generous with assistance. Clinton offered the advantage of free trade in one direction, from Africa to the US. Bush offered a major program to attack HIV, Tuberculosis and Malaria, saving many lives. Obama's message is tough love. "It is up to you African leaders to set the right priorities and implement the right policies at home in order to allow us to leverage limited funds to attract investors. IT'S YOUR PROBLEM, guys." No U.S. president has sent this message before. It was long overdue.